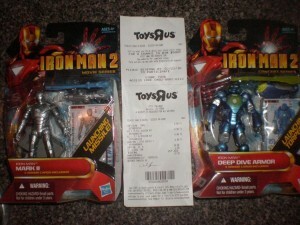 Iron Man 2 Figures Hit Mass Retail | The Fighting 1:18th! 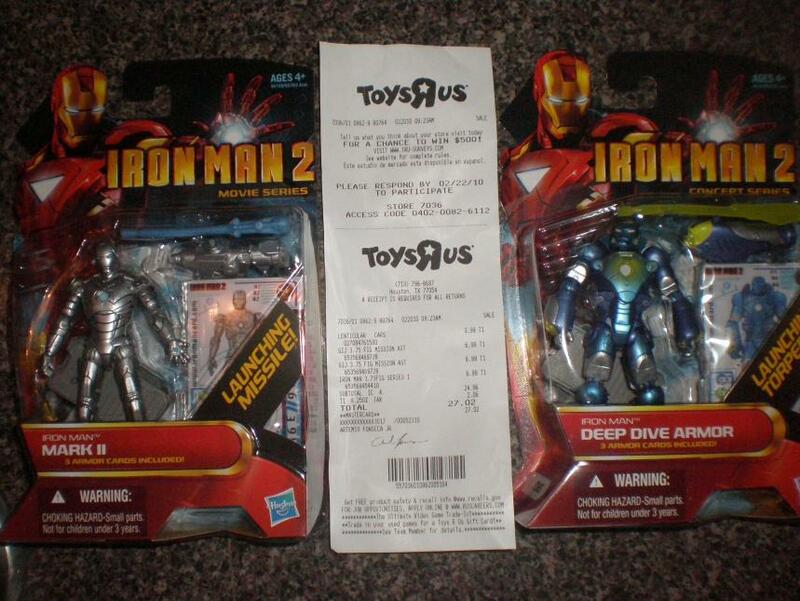 The Iron man 2 movie figures are hitting mass retail outlets everywhere! 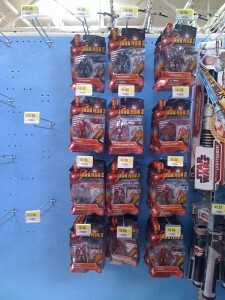 While out running errand today my son and I discovered the new Iron Man 2 movie figures at Wal-Mart. 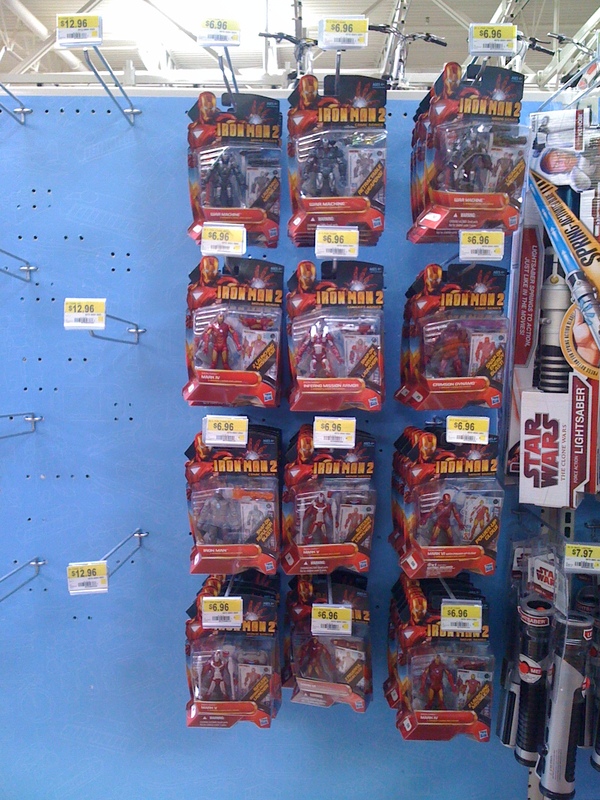 We also saw that all the surrounding Wal-mart and Target stores had either already displayed the figures, or had merchandised the area to prepare for their display. Fighting 1:18th forum member Art2614 found the new figures earlier this week at Toys R Us and shared images with us in out forums. This and other sightings confirm that these figures are now popping up at all retail outlets in mass. We’ll post more info as it comes in. Next: Merit International Shows off new JSI Products!